Charming top floor condo space WITH A GARAGE near Olde Town Arvada shops and restaurants and the newest light rail access point. 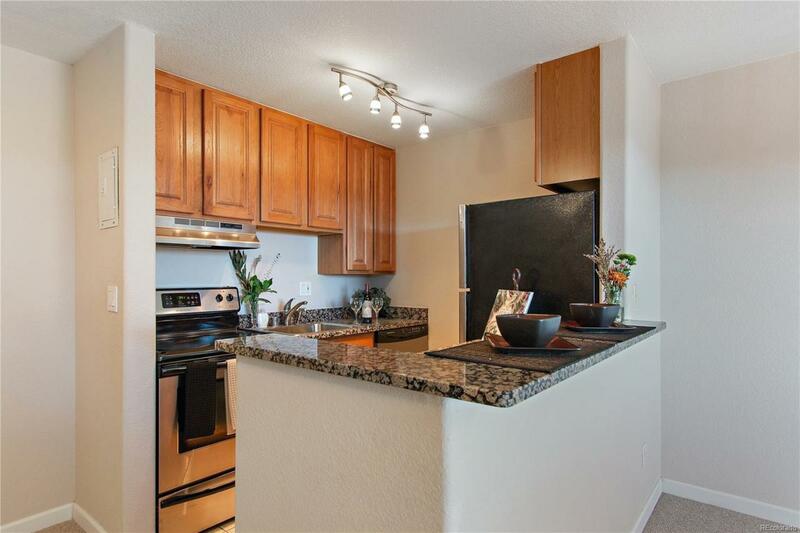 Granite-countered kitchen is open to the living room and includes stainless steel appliances and a breakfast bar. Enjoy western mountain views from the bedroom balcony, new carpet, and freshly painted rooms. Washer and dryer in unit and included. Building has a new roof, a new boiler and #303 has air conditioning. There is a community garden too! 7/10 of a mile and about a 12-minute walk to Grandview Avenue.